Argh!!! The Blot totally forgot that AMC’s Better Call Saul returned this week and I didn’t set my new DVR. Thankfully AMC replays episodes of the Breaking Bad prequel/sequel throughout the week. So while I haven’t seen the Better Call Saul Season 4 premiere yet, I’ll be able to catch it later this week. I cannot freaking wait! For those of you that have seen it, what did you think? 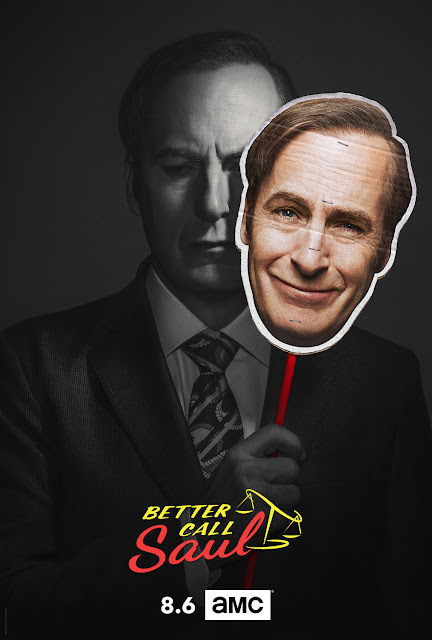 The television series’ season 4 poster is pretty ominous, which I assume does not bode well for Mr. Saul Goodman. Better Call Saul Season 4 airs Monday nights at 10/9c on AMC.